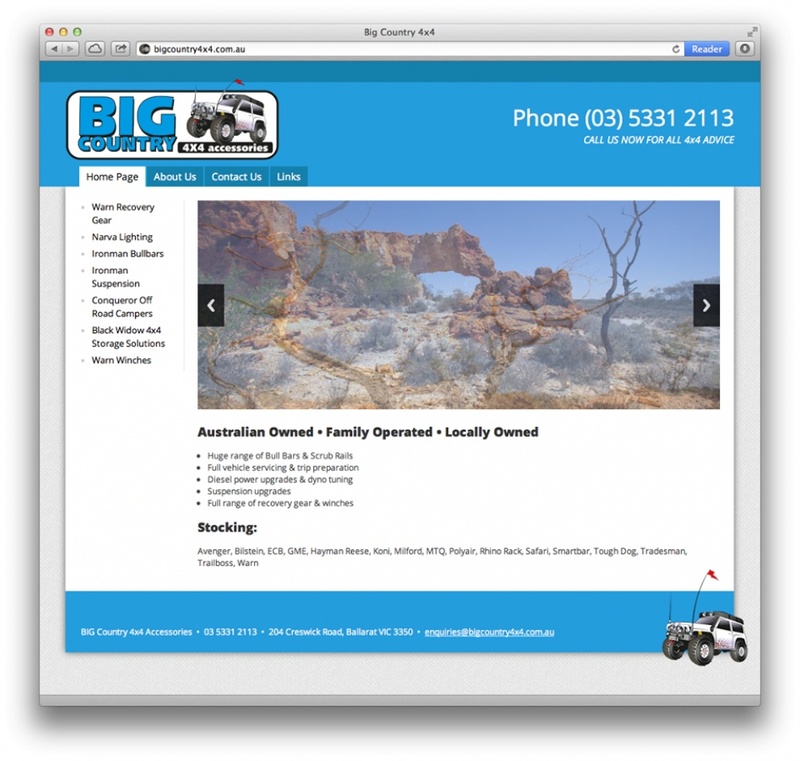 Big Country 4x4 has just been released. Its been built in metaCMS and features a responsive layout. The design was originally by the Design Bakery but has been heavily modified as the direction of the project shifted. 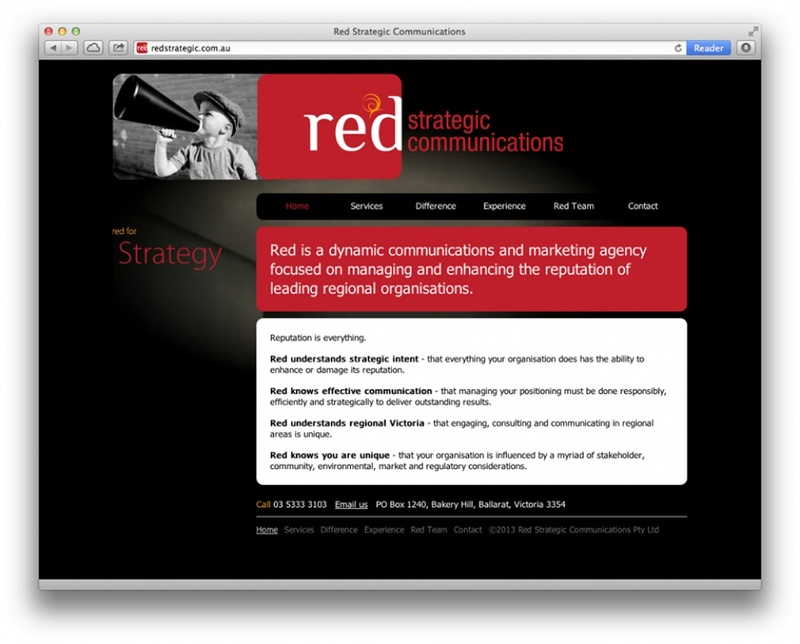 Red Strategic Communications is a site that was designed by the Design Bakery and built by Launch. Its a few years old now but still looks fantastic and is very effective. Something that was added during the development was the sticky side menu and a nice animation next to the selected menu item. This works really well to highlight the section. 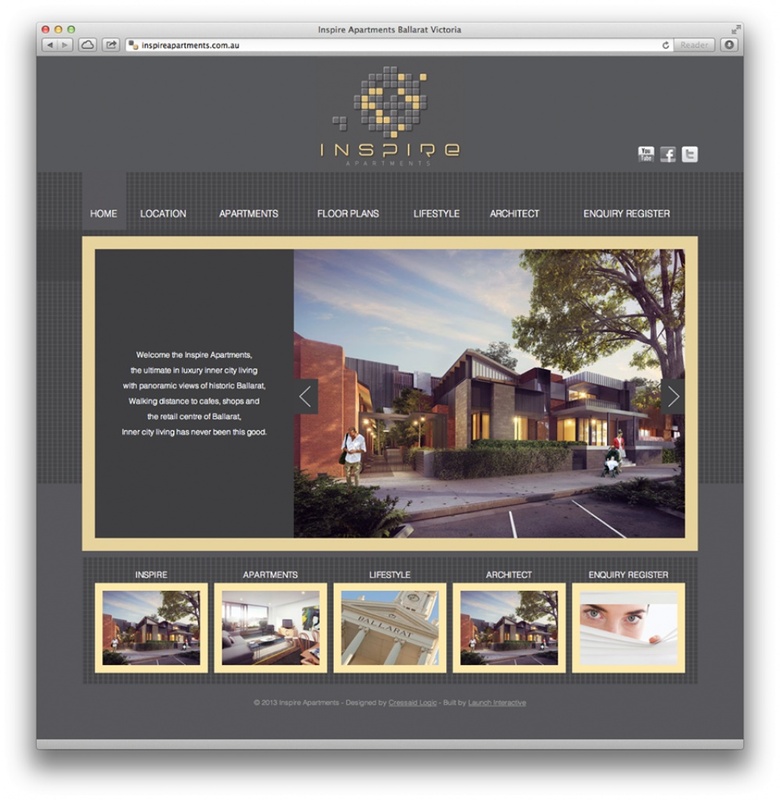 Inspire Apartments was released just before Christmas last year. This site was designed by Cressaid Logic and built by Launch. Building the floorplans page without flash took a little bit of engineering but worked out well so that its usable on mobile devices. Dunstan Farmers was released in January this year. It was hand coded as some of the pages had quite specific layout requirements. The design was by The Design Bakery and it was built by Launch. 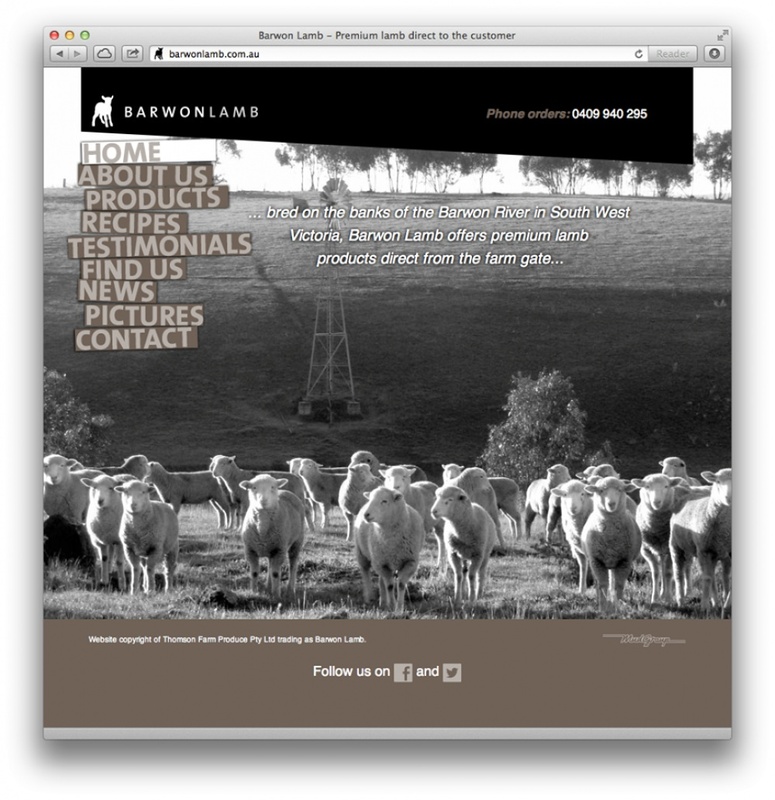 Barwon Lamb offer a premium lamb product direct to the customer. I was approached by Mud Group to build this original design 12 months ago. The site was built in metaCMS which was perfect for their needs. The news feed is fed from Facebook which simplify's updates. Fencing by O'Briens was released more than two years ago but still looks fantastic. 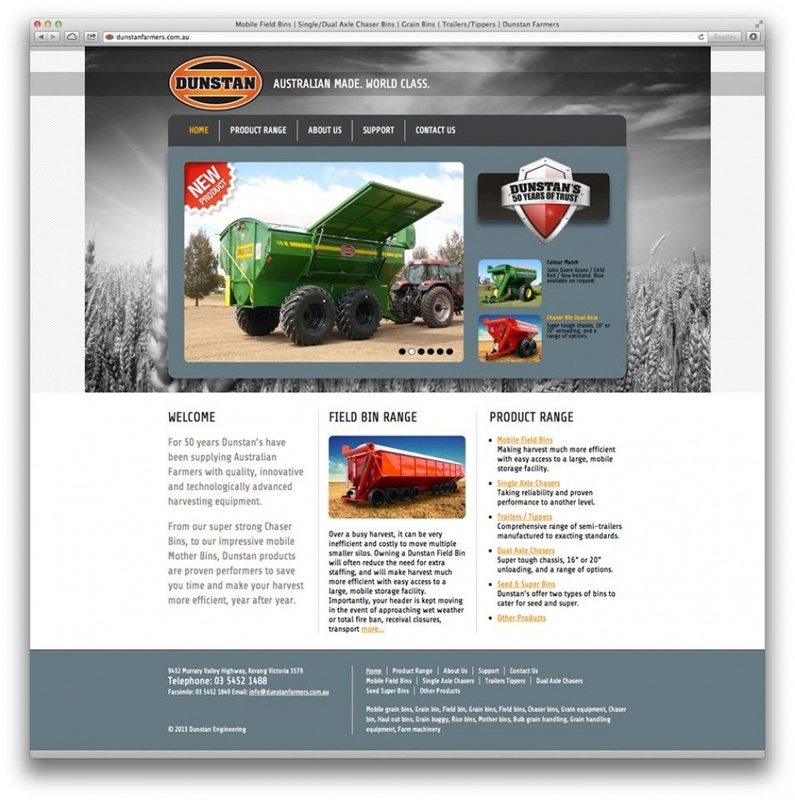 It was a fun site to work on and 226 Strategic did a great job designing it. The seamless background works really well on different resolutions. 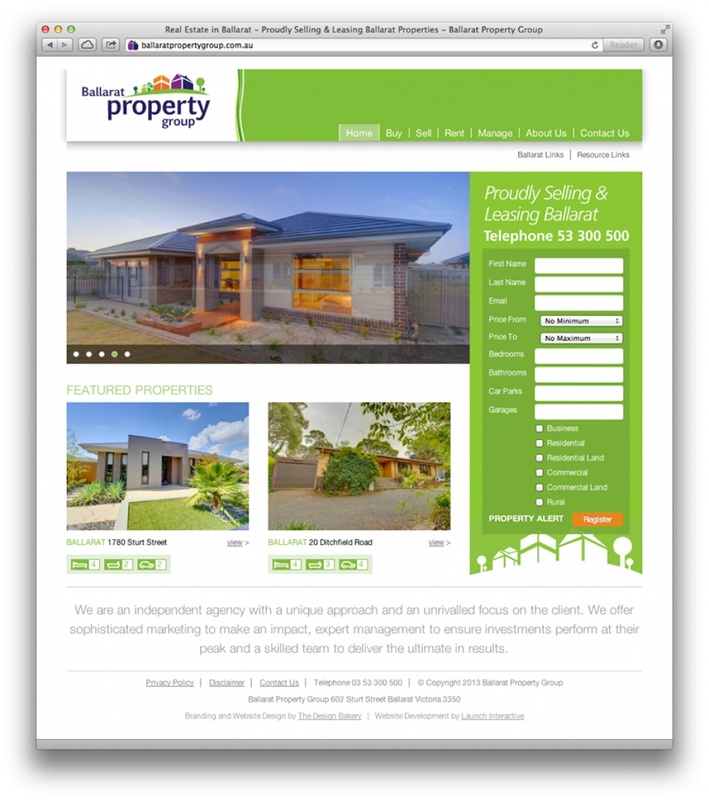 The Ballarat Property Group website was one of the first major jobs for Launch way back in 2010. This site has had a few updates along the way and is still going strong. The property listings come from the real estate view system so hooking up with their API was essential to get it all working. The site also includes a mobile version using jQuery Mobile. The design was by The Design Bakery and the build was by Launch. 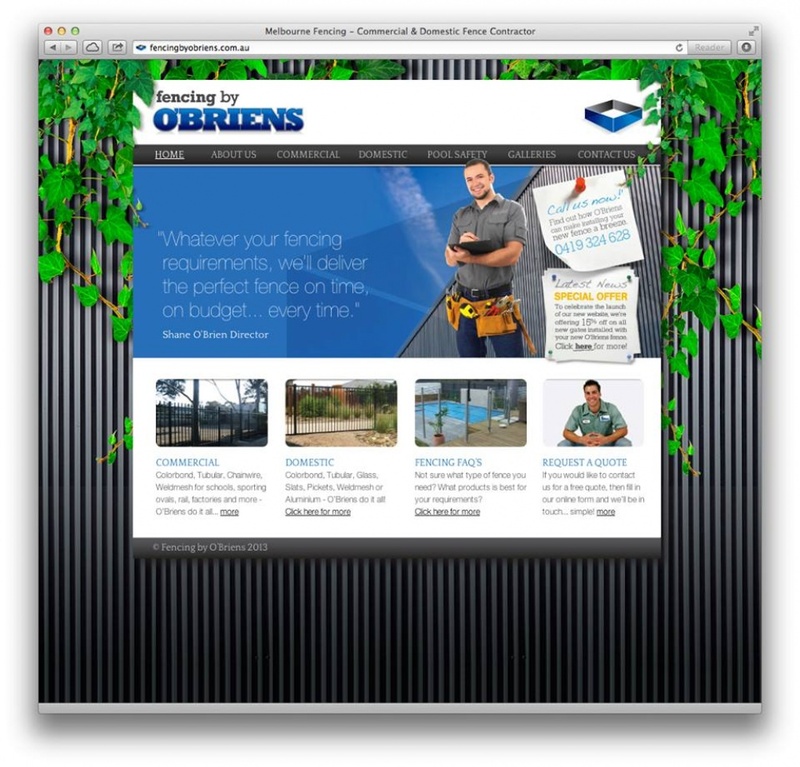 Tim from Made Visual approached Launch last year to put together a website for Regional Retaining Walls & Landscaping. Tim's attention to detail and creativity made this job one of my favorites to date. 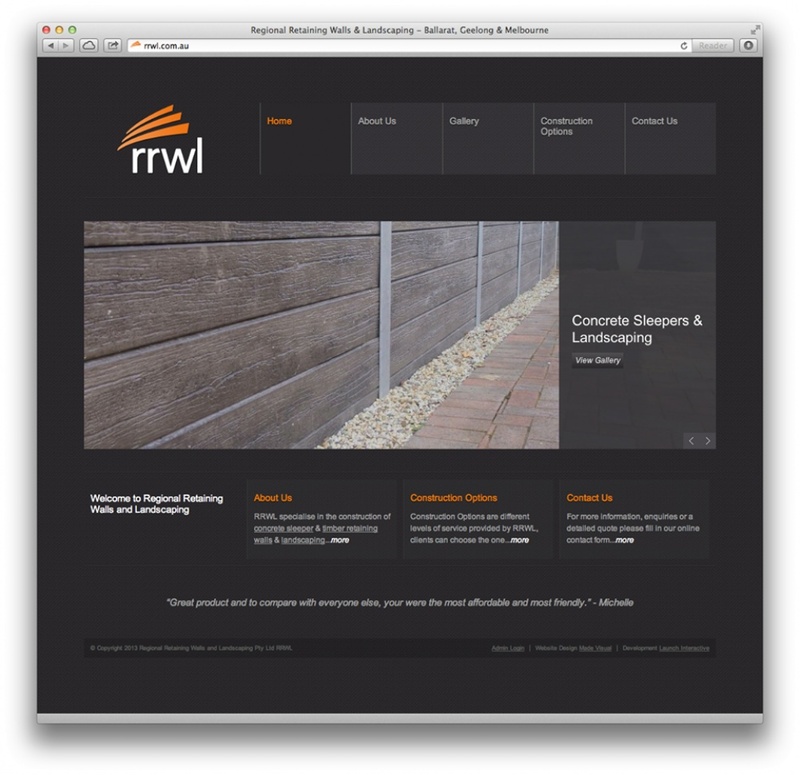 Checkout http://rrwl.com.au for all your retaining wall requirements. 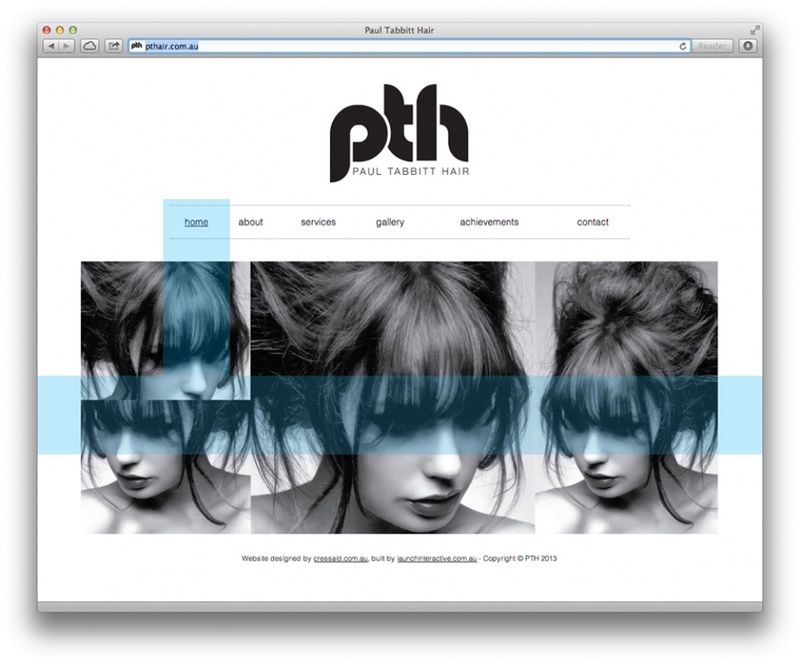 A new website for Paul Tabbitt Hair was released late last year. The design was fairly simple but proved to be a little challenging to get right. The tricky part was getting the selected menu item to stretch down behind the content. The layout is responsive and includes a few animations to enhance the experience. It was designed by Cressaid Logic and built by Launch. A new website for Mud Group was released yesterday. Mud Group is a Graphic Design Studio based in Winchelsea, Victoria. I've been working with Stu for quite a few jobs lately and its been a pleasure. While its not a huge site it certainly showcases the great work that Mud Group produces. metaCMS was used to create and manage the content. The design is clean, works well all different size screens and loads quickly. Designed by Mud Group and built by Launch. 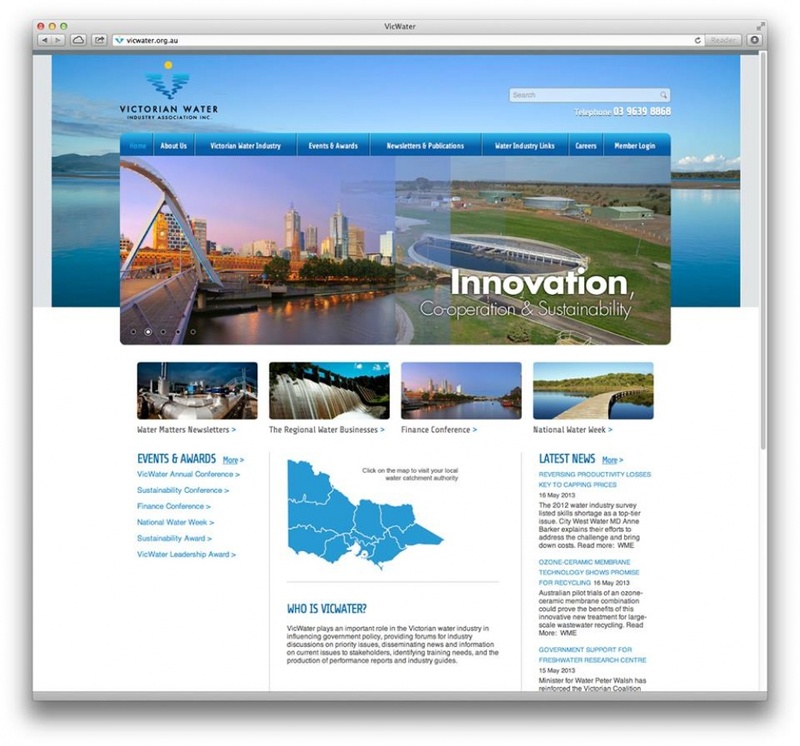 A new website for Victorian Water was released last month. This site included a complete re-design and platform change. It now uses WordPress as the CMS and includes custom features such as a members area with restricted access, news/events, custom backgrounds & image sliders. The design was by The Design Bakery and the build was by Launch. Vic Water have been fantastic clients and Stage 3 of this project is beginning soon so keep your eyes on it as we unveil lots of new features! April 2013 saw the release of a website that took 8 months to create. 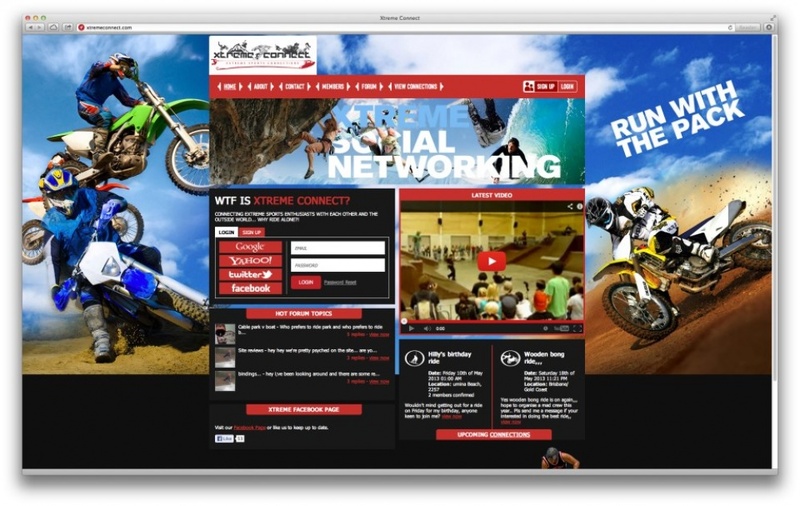 The guys at Xtreme Connect wanted to connect the extreme sports world via an interactive website and have fun while doing it. The awesome design was done by tba:media (www.tbamedia.com.au) and all the programming by Launch. The layout is responsive and uses MongoDB as the database. It supports logging in with Google, Yahoo, Twitter, Facebook or email/password which was no small feat! As always its a work in progress but it was great to see it go live. Its been a long, long time coming but its finally here. Launch Interactive now has a full website and not just a silly splash page! Building my own site has been one of the hardest jobs I've done. Firstly, because I designed it and secondly, because I want it to be just right. The site adjusts nicely for different screens and devices. Its fast and clean and is super easy to update. I've also got a decent list of things to add but if you have any suggestions let me know! Thanks to all the great clients who have gone out of their way to write testimonials! So, with all that said... why not have a look? 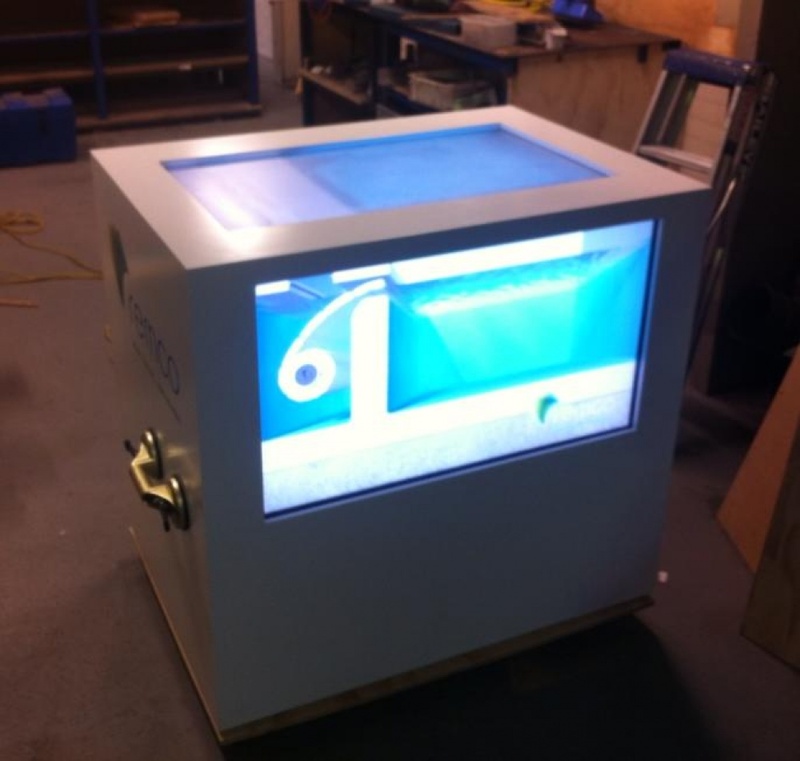 Expo display box for Remco Pool Covers all plugged in and working! 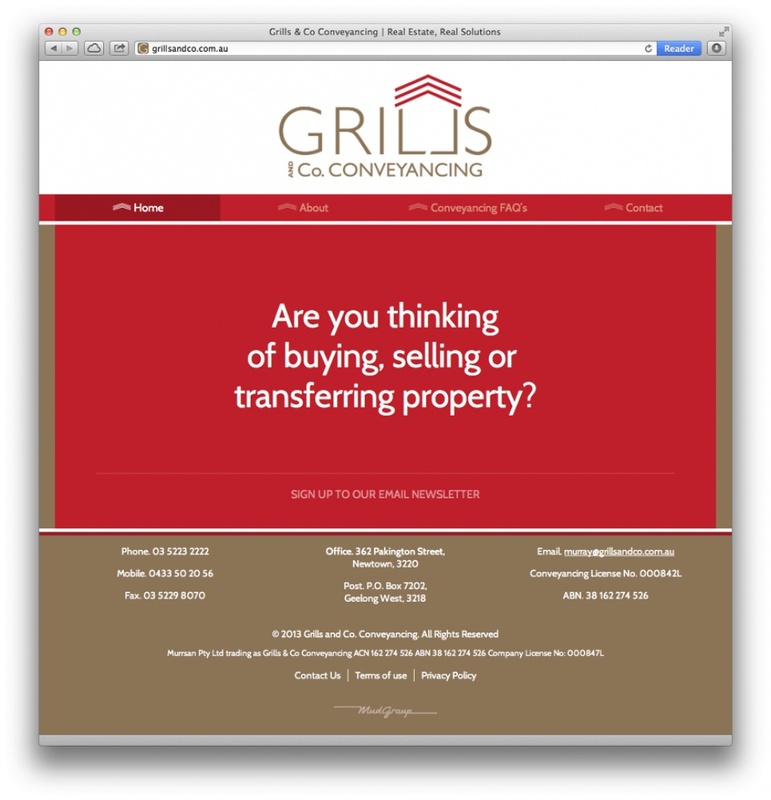 This week a brand new website was launched for Grills & Co Conveyancing. It was designed by MudGroup (http://mudgroup.com.au) and built by Launch. 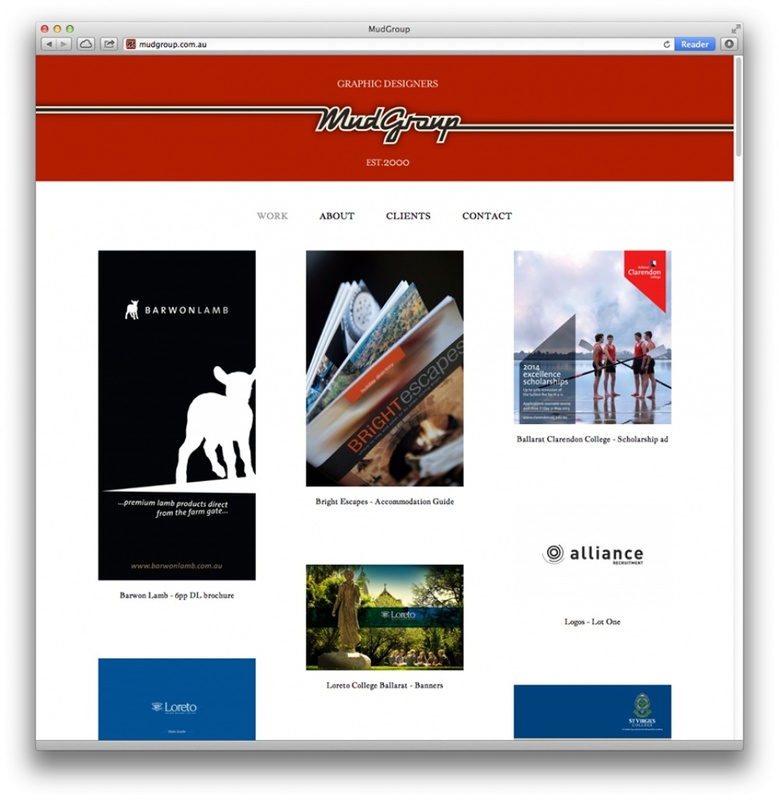 It uses metaCMS as the content management system and features a fully responsive design. The forms adjust to different sizes particularly well. Due to the arrival of Oscar Jack Castles (born 1.26pm 14th of Feb. 3.3kg) Launch will be having short break.